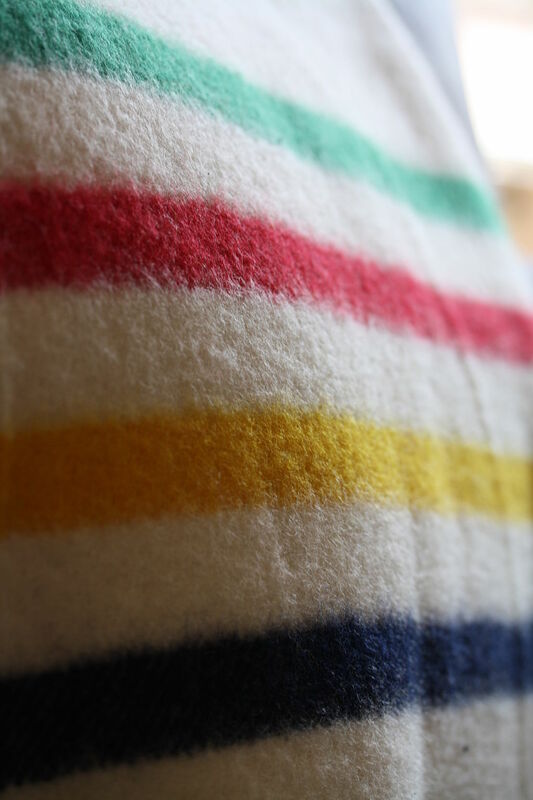 The Hudson’s Bay Point Blanket is a wool blanket with a series of stripes and points (markers on cloth) first made for the Hudson’s Bay Company (HBC) in 1779. The most iconic design is that which is white with green, red, yellow and indigo stripes; these colours are now used as an emblem for the HBC. While the HBC was not the first to create the point blanket, the company did popularize it among Indigenous and settler communities in Canada. Today, the design from the blanket is used on a variety of clothing, accessories and household items sold by the HBC.